I came close to disliking Frank, and therefore this novel in which he’s the selfish and biased first-person narrator. His dashingly handsome but clueless ex-sailor lover, Johnny, jailed for a year for his inefficient housebreaking, is as careless and dilatory with his correspondence as are his family with their conveying of messages between Frank and Johnny. His snobbery towards these ‘ordinary’ (read working-class) people becomes irksome: he confides in us his derision at their unhygienic lifestyle and inarticulate ways of talking and writing letters, especially their clichéd catchphrase that gives the novel its title. He’s like the pompously irascible and perpetually grumpy hack writer Ed Reardon in the Radio 4 comedy, and like him expects us, his readers – presumably he thinks we’re of the same literate, educated class as himself – to share his patronising disdain for such people. But that’s not his only trait. He seems genuinely fond of Johnny’s good-hearted mother, Millie. They have a real ‘bond’, he feels – though it isn’t often evident in their scenes together, and is largely due to the unaccountable devotion to the feckless Johnny that Frank also feels. His scorn is aimed largely at Millie’s idle, brutal fourth husband, Tom, and at Johnny’s slatternly, fertile wife Megan. Why does he so hate them? It’s clear to us, though not at first to Frank, that he’s as jealous of them because of their close relationship with Johnny as they are of him. …but he did not look up, and I recollected then that he never looked back at parting either; it was as though I existed for him only at the point of contact. 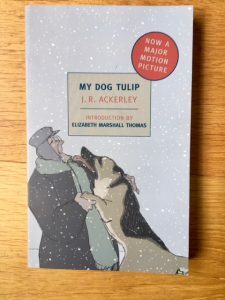 What redeems the novel is the love he learns to feel for Evie (the name is as symbolic as her role in the novel), whose unhappiness at being cooped up in the back yard of Millie and Tom’s grim house while Johnny is incarcerated touches his otherwise cold heart. He comes to acknowledge that by paying to help keep Johnny and his family, he’s shamelessly exploiting their poverty and powerlessness. He also comes to realise that his cash handouts are purely self-serving. …but if this sober reflection had upon me any effect at all, it produced no feeling that could remotely be called repentance, but only a kind of listlessness as though some prop that had supported me hitherto had been withdrawn. Beneath such a general smear of mild good nature, I asked myself, could any true values survive? Where everything mattered nothing mattered, and I recollected that it had passed through my mind while I spoke to him that if the eyes that looked into mine took me in at all, they seemed to take me for granted. Even at this moment of apparent revelation there’s a powerful undercurrent of self-pity. The daylight hours we spent mostly in the open air. Evie saw to that. And it was borne in upon me that, without perceiving it, I had grown old and dull, I had forgotten that life itself was an adventure. She corrected this. She held the key to what I had lost, the secret of delight. [Delight] was a word I often used, but what did I know of the quality itself, I thought, as I watched her inextinguishable high spirits, her insatiable appetite, not for food, in which she seemed scarcely interested, but for fun, the way she welcomed life like a lover?…She was childish, she was charming, and to me it seemed both strange and touching that anyone should find the world so wonderful. The many passages like this make the novel ultimately life-affirming. On all these paths Walser has been my constant companion…the unmistakeable figure of the solitary walker just pausing to take in the surroundings. W. G. Sebald, A Place in the Country (2013), reviewed by me here. 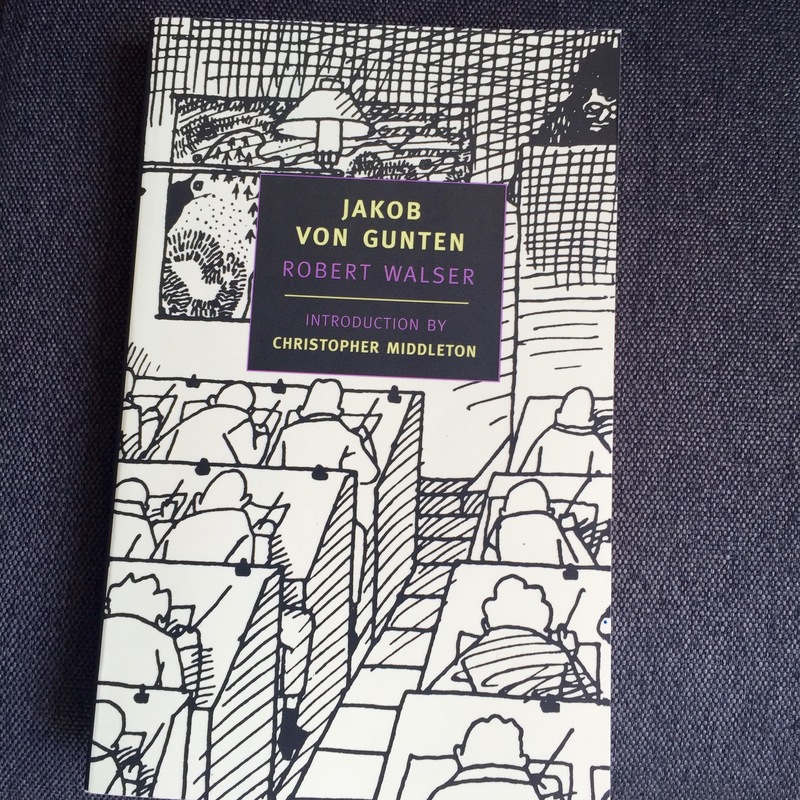 The essay on the isolated ‘outsider’ Walser is a poignant mini-masterpiece. This ‘most unattached of all solitary poets’ is portrayed with delicate, loving sensitivity; we see the ‘precariousness’ of Walser’s existence, his loneliness and ‘virginal innocence’. At the core of this ‘ragged soul’ was an ‘absence’ that was the source of his ‘unique strangeness’. Although he was always ‘beset by shadows’, his writings are ‘illumined…with the most genial light’, striving towards ‘weightless[ness]’ in an attempt to ‘obliterate himself’. 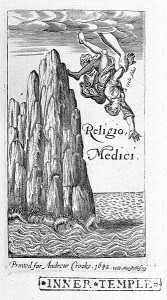 He ‘almost always wrote the same thing and yet never repeated himself’, he was ‘a clairvoyant of the small’, his thoughts were ‘honed on the tiniest details’ but they became increasingly incomprehensible as his sanity faded, and he tended to ‘get lost in the clouds’ and dissolve into the ‘ephemeral’, into ‘thin air’, heading for the darkness of insanity and a solitary death in the snow one Christmas Day. 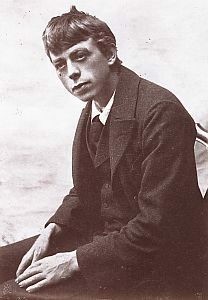 Robert Walser (1878-1956) grew up in the Swiss border town of Biel. His work was admired by Kafka, Musil, Hesse and Walter Benjamin – a group of artists who no doubt found similar themes to their own in his existentially anguished ‘outsider’ narratives, concealed under a deceptively slight, charming and eccentrically naïve exterior. 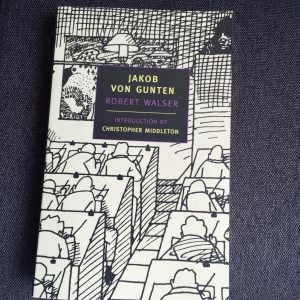 Jakob von Gunten (first published in German in 1909, translated in 1969 and with an introduction by Christopher Middleton, reissued by NYRB Classics in 1999) seems inspired by Walser’s own experience. It tells the story of a seventeen-year-old boy who runs away from what he feels is a stifling bourgeois home to join a training academy in Berlin for aspiring servants, the Benjamenta Institute, named after its principal, Herr Benjamenta. Walser had attended a similar school in Berlin in 1905, followed by a period of employment as a butler in a castle in Silesia. He develops a schoolboy crush on Fräulein Lisa, which doesn’t end well, while her brother the principal appears to fall heavily for Jakob. The school’s pupils gradually leave, and there is a sense of inevitable closure by the end of the novel, and we’re left unsure whether the protagonist is set to embark on a life-enhancing adventure with his partner. Or else it’s like Don Quixote riding off into the Mancha with Sancho Panza, a deluded escape from a crushingly banal life of servitude – or a flight into madness. The stylistic invention ranges between maximum abruptness and beautifully timed arabesque dottiness. With his obsessive narrative accumulations of fantastic mingled with quotidian minuscule details, Walser as a writer resembles the ‘primitive’ style of that other psychically troubled artist, Richard Dadd, rather more than Douanier Rousseau, with whom he is more usually compared. 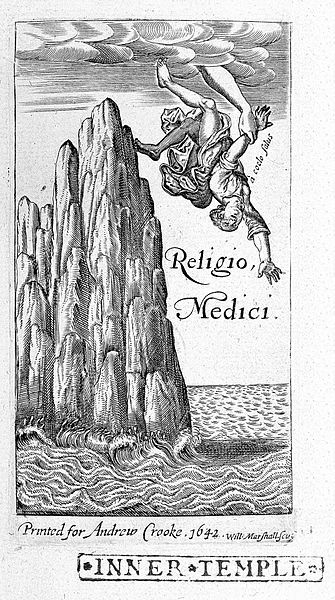 ‘Is this a morgue, or is it a celestial house of joy?’, Jakob muses at one point, in a typically polar opposition. What singular oddities we are. Our hair is always neatly and smoothly combed and brushed, and everyone has to cut his own parting up there in the world on his head…That’s how it should be. Partings are also in the rule-book. And because we all look so charmingly barbered and parted, we all look alike, which would be a huge joke for any writer, for example, if he came on a visit to study us in our glory and littleness. This writer had better stay at home. Writers are just windbags who only want to study, make pictures and observations. To live is what matters, then the observation happens of its own accord. Our Fräulein Benjamenta would in any case let fly at such a wandering writer, blown in upon us by rain or snow, with such force that he would fall to the floor at the unfriendliness of the welcome. Then the instructress, who loves to be an autocrat, would say to us, perhaps, “Boys, help the gentleman to pick himself up.” And then we pupils of the Benjamenta Institute would show the uninvited guest the whereabouts of the door. And the morsel of inquisitive authordom would disappear again. No, these are just imaginings. Our visitors are gentlemen who want to engage us boys in their service, not people with quills behind their ears. In 1929 Walser had some kind of mental breakdown (he attempted suicide maybe more than once) and entered the first of the psychiatric clinics in which he was to spend the rest of his life. When he was placed in the Herisau sanatorium in 1933, he stopped writing and spent most of his time on solitary walks. 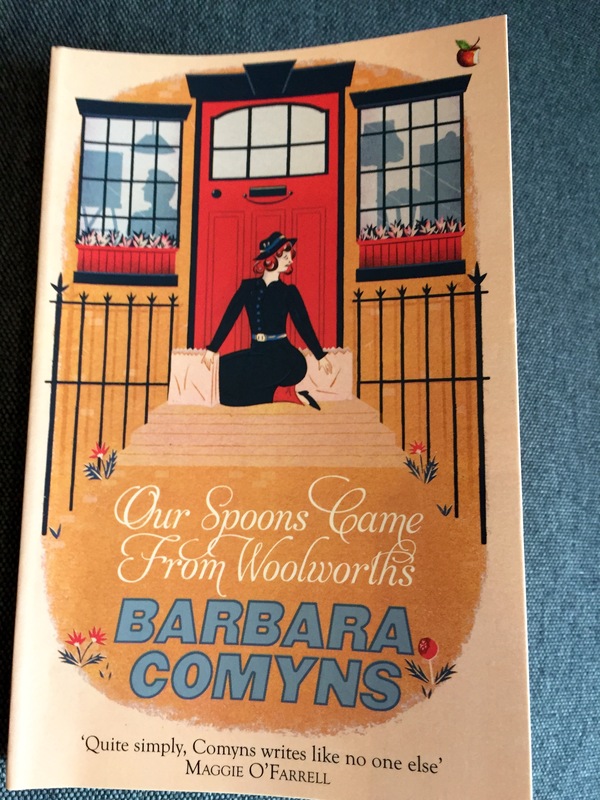 Barbara Comyns’ novel Our Spoons Came from Woolworths (first published in 1950) has attracted considerable critical attention recently, much of it a consequence of reissues by various publishing houses of several Comyns novels – notably NYRB Classics in autumn 2015. Because it’s so easy to find online reviews with plot summaries, I’ll simply discuss here some features of the novel that seemed to me so remarkable. Inevitably I need to say a little about the plot. Sophia is an engagingly bright, ingenuous, unworldly woman of 20 who marries Charles when they are just 21. Most of the novel relates the hellish experiences she undergoes in this marriage to a selfish, probably talentless struggling artist. He insists that he needs his freedom to work on his art: this means Sophia has to do all the paid work and domestic chores. He loftily assumes that this is her sphere and responsibility – an attitude that even today hasn’t entirely disappeared. Maggie O’Farrell describes this situation perfectly in her introduction to my VMC edition as the ‘erosion of a woman’s spirit through her husband’s vain and casual cruelty’. I told Helen my story and she went home and cried. At first, because I wasn’t used to happiness and freedom from worry, I would be terrified that disaster was coming round the corner at any minute. It’s much more than a sort of fictitious misery memoir, then; despite all the ordeals that Sophia endures it’s strangely uplifting and often very funny (misery is subverted by lines like ‘even the cat had run away’ when there’s no food for the young family to eat). It’s the mode of narration and the narrative voice that are so interesting. Like Holden Caulfield in The Catcher in the Rye, she’s compelled to tell her story in a bleakly matter-of-fact voice to her incredulous, horrified friend; it’s a kind of therapy, but she keeps the full emotional horror at bay by either ignoring it or minimising it (those flashes of humour in the face of adversity are one such device). Men are often like that. They say they can cook and it turns out to be an omelette, scrambled egg or sausages. They never can cook jam or Christmas pudding and proper things like that (I don’t, of course, include chefs when I say this, I mean real men). The lightly humorous parenthesis is a smokescreen; Sophia in such moments of lucidity is perfectly aware of the gender inequalities that beset her; incapable of fighting them, inexperienced as she is, she makes fun of them instead. It’s a charmingly pointed, poignant weapon. The tone darkens perceptibly, though, as money runs out and Charles refuses to work gainfully; the Bohemian idyll turns into a nightmare. Sophia’s voice throughout alternates, as her vicissitudes multiply, between a sort of jauntily optimistic cheerfulness and grimly stoical acceptance. I had had one and a half children, but had been a kind of virgin the whole time. I wondered if there were other women like this, but I knew so few women intimately it was difficult to tell. Her second baby, a daughter called Fanny, dies of scarlet fever (from which Sophia almost dies also) after they spend a night on the bitterly cold streets, having been turned away by that treacherous lover Peregrine, Fanny’s father. ‘Her life had been wasted because of stupidity and poverty’, muses Sophia. This heartbreaking summary is not innocent or naive: she is perfectly aware of the injustice of her fate, but is powerless to change it. She lacks agency in a patriarchal society – it’s significant that although she’s an artist herself, the only way she can make money is by exploiting her beauty through posing as a model for male artists – whose gaze is usually more sexually than aesthetically inspired. But Comyns is too subtle a writer to hector her reader with feminist polemic; this adds to the novel’s powerful emotional impact. Charles was getting desperate. I felt dreadfully sorry for him, but angry, too. I don’t think the happy ending is too like a fairytale’s. It’s in keeping with the tone and voice of the narrative, as I’ve tried to show here, that Sophia is shown ultimately as a survivor, and her integrity is justly rewarded. But it’s hard not to feel disgruntled that this has to come in the form of the love of a good – and very wealthy – man. Alfred Hayes’ 1958 novel My Face for the World to See was reissued in 2013 by the always reliable NYRB imprint. The unnamed narrator, a writer of film screenplays, watches from a plush beach-house balcony (he’s at a tediously boozy Hollywood party, seeking to escape the ‘smiles which pinned you against the piano’) as a long-legged pretty girl in ‘a jaunty cap’ woozily enters the ocean, martini glass in hand. 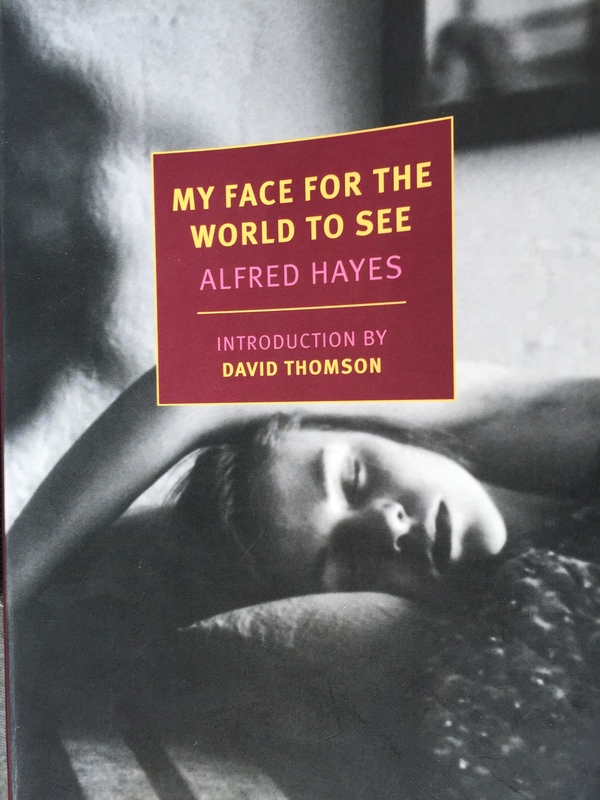 When she gets into difficulty (under ‘the indifferent sky’ – a Camus allusion perhaps, certainly one of Hayes’ frequent nods to European existential bleakness) he intervenes and rescues her. Intrigued and troubled by this event he later phones her and they start an affair – he’s married, but his wife is on the other side of the continent in New York, and their marriage is in an unhealthy state – but then his whole life is. His work disgusts him. This affair is also toxic, and reveals some ugly things about the girl and the narrator. I took a hot shower and went to bed. Occasionally, a car went by in the street; occasionally, there was the sound of a bird in a tree. I did not feel, in the darkness, lost or in despair or even unhappy. My throat burned a little, but that was because I smoked too much: it seemed somewhat ironic to have only that as a concern lying there in the darkness. I’d been coming here now, to this place, off and on for about five years. I’d work for a few months at one of the studios and then I’d go back to New York. It was not a disadvantageous arrangement. I did not feel, or at least I did not think I felt, superior to the things which concerned these people here. I’ve quoted at length to demonstrate the meticulous style. There’s a surface simplicity and lucidity reminiscent of Hemingway (that fondness for ‘and/’and then’ structures, the monosyllabic vocabulary), but this is counterpointed by a disturbing and contrasting complexity. Hayes carefully fragments his syntax with those awkward incidental details (the fronted, repeated adverb ‘occasionally’, ‘in the darkness’ and ‘to this place, off and on’). The simpler elements (the opening sentences of that extract) create a rhythmic fluency, enhanced by the symmetrical repetitions (he’s fond of tripled structures); but look again at their negativity: ‘I did not feel’ when repeated suggests our narrator is being less than candid with himself. He acknowledges this when he goes on to concede that ‘at least’ he did not think he felt these things. Even the birds are denied agency: they don’t sing in the tree, there’s just their sound, passively registered by this fretful insomniac, lying there in indifferent ‘darkness’ (also tellingly repeated), who is, surely, despite his denials, irredeemably ‘lost’, ‘in despair’ and ‘unhappy’. The denials are hollow, hence that unconvincing double negative in ‘not disadvantageous’ – this lapse into the kind of clichéd structure deplored by language purists like Orwell is deliberately fatuous and discordant in comparison with the mellifluous, fastidious syntax the narrator usually deploys. The emptiness of his soul is conveyed with deeper resonance here because of the hollowness of this note. This is a narrator who’s in existential crisis. Like a bird caught in a hunter’s net, the more he struggles to free himself, the more entangled he becomes. All he can do is to explore these futile attempts and try to survive them. That’s why, when asked later by the girl about his work, he says sardonically that he’s not writing but ‘writhing’. I found she struck the nerve of pathos, somehow; there was an air about her of a somewhat touching injury. It was possibly accentuated by the fact that she was pretty. Looking at her, it struck me that among the things wrong with her was that she had neither humor nor, really, charm. The eyes were fine and quite beautiful, and she was undeniably a very pretty girl, but there was no charm in that somewhat rigid face, in the manner so constantly tensed. She hadn’t all evening said anything I could recall as either charming or witty. What she did have, apparently, was a sort of desperateness, which compelled another, and different sort, of appeal. …at least here, together, even unhappily together, there was a semblance of warmth, there was a kind of light, there was a habitation of a sort. That ‘habitation’ is just right in its unexpectedness, pointed up by the habitual use of tripling in ‘a semblance’, ‘a kind’, ‘of a sort’. But now I’m straying into cod psychology, and had better stop. Without giving too much away, I’d warn that things don’t turn out too well in the end. From what I’ve shown so far this should come as no surprise. Why are intelligent men like this drawn to equally damaged, wilfully destructive women? Why are such women attracted by emotionally evasive men like him? Like all the best literature, this novel doesn’t try to answer such questions — but it asks them in fascinating, beautifully written ways. It’s a new academic term and I’m teaching several new courses. They all need researching and preparation, so my time for blogging is even more constrained than usual. My posts will probably be sporadic for a while. But I’d like to keep some sort of record going of highlights of what I’ve been reading and doing now that autumn is here. I mentioned recently that I’d not enjoyed Patrick Gale’s A Place Called Winter as much as other things of his that I’ve read. Then I had a negative experience with William Gerhardie’s Of Mortal Love. Since then I’ve whizzed rapidly through the new William Boyd novel, Sweet Caress, but considered it, like the Gale, too plot-centred and episodic. Like Any Human Heart it traces the whole life experience of its central character – a photographer named Amory Clay, but unlike the story of Logan Mountstuart (who is said to have been based on Gerhardie) this novel failed to engage me. The reviewer in the Guardian was much more impressed: link here. 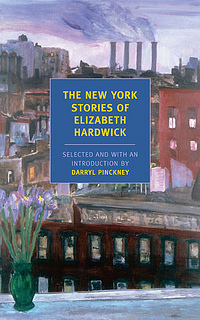 Next I read The New York Stories of Elizabeth Hardwick, a typically handsome edition by the reliable NYRB Classics people. In Feb. last year I wrote about her autobiographical novel, Sleepless Nights, a fragmentary, structurally audacious work that was both challenging and rewarding (they reminded me of Renata Adler’s Speedboat, published just three years earlier). These stories are also well written: the quality and style is varied, but on the whole I enjoyed them immensely. 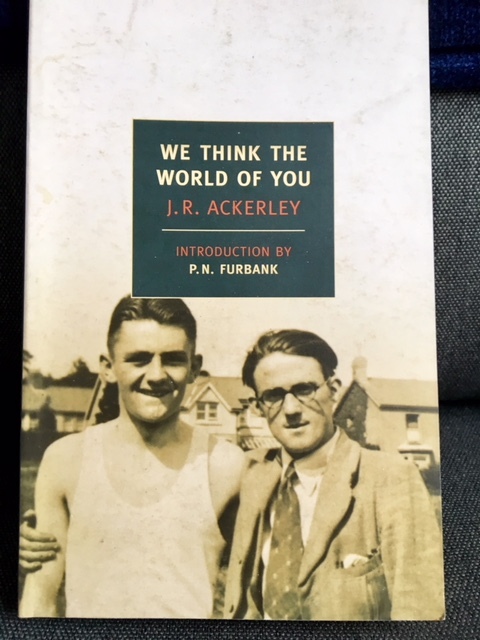 There’s an informative and interesting Introduction by Darryl Pinckney, who points out that Hardwick (1916-2007) struggled to produce long forms of fiction, and published very few shorter works – partly because of her obsessive perfectionism in her language (the Flaubertian insistence on the ‘mot juste’), and a tendency to feel that she was better suited to non-fiction. The stories originally appeared in prestigious publications like The New Yorker and Partisan Review. The earliest stories, dating from 1946-56, reflect the themes of exile and flight from her small-town Kentucky youth from which she came to feel alienated (she writes of ‘the family demons’ and the brutal ‘hostilities’ of the familial in the story ‘Evenings At Home’), and of escape to the big city – where I sense she also never felt fully at ease or at home. Nevertheless she is intrigued by the buzz and dynamic energy of metropolitan life, and portrays it in shrewdly observant, often sensuously textured prose that is poetic in its cadences, but tends towards a detachment that can sometimes chill. Nothing so easily unbalances the sense of proportion in a woman of artistic ambitions as the dazed love and respect of an ordinary man. At the story’s end she reflects caustically on the man who is eternally ‘not quite good enough’. Later pieces become more impressionistic and start to adopt a skewed first-person narrative voice, offering verbal portraits of people in the urban setting that she inhabits and shares with them, but which she anatomises at times with clinical scrupulousness and curiosity, but with with an artist’s perception. There are frequent flashes of deceptively unflashy wit and weird obliqueness that are reminiscent of some of Robert Walser’s work (like his sketches in Berlin Stories, also published by NYRB). Let me try to give a flavour of Hardwick through some quotations from across the collection: I’d be interested to hear what your thoughts were if you’ve read it. Dodo did not laugh. She was as free of irony as a doll. A mind like that, Clarence thought giddily, lives by sheer superstition. I like the subtle shifts of register and viewpoint here: it’s a technique (focalization) handled almost as skilfully here as anything in Austen. There’s the omniscient narrator’s presentation for us of the slightly dim, ingenuous Dodo, but it’s the cruel arrogance of Clarence that Hardwick is more interested in, hence the shift to free indirect thought, but all is tempered by the narrator’s deft insertion of the stiletto-like adverb ‘giddily’. That passage also has a characteristically acerbic simile that reveals and dissects the character; here are two more – one slightly cliched, the other working harder, in ‘The Purchase’: Frazier is a young Turk ‘action’ painter, trying to goad an older, more conservative but also more established artist called Palmer, whose star is fading, into buying one of his canvases. “So?” Thomas Frazier said, with a negligent, burly composure that neither assented nor disagreed. A profound and bullying impudence emanated from Frazier, like steam escaping from a hot valve…Whatever the merit of the two men’s work, they faced each other in a condition of tribal hostility, like the appropriate antagonism of the Army and Navy teams on the football field. 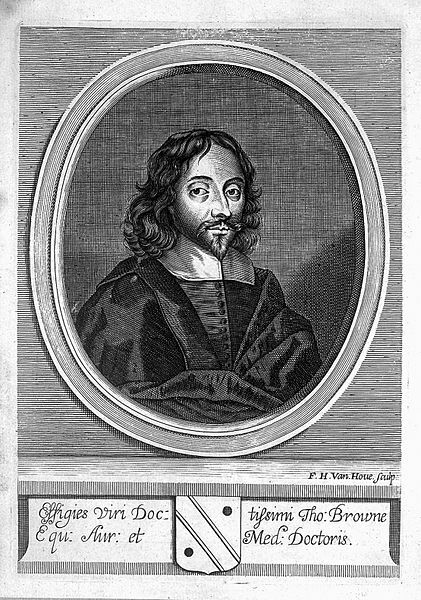 These extracts so far indicate the largely conventional narrative technique in Hardwick’s stories. Here are some examples of the later, more innovative style. Roger does not drink, but he eats quite a lot of apples, pizzas, and hamburgers, and makes many cups of coffee in his electric pot…He is one of those brought up by well-to-do parents sent to good schools, to France for a summer – who, on their own, show no more memory of physical comforts than a prairie dog. Shades again, perhaps, of mid-to-late period Henry James (as well, perhaps, as a hint once more of Austen’s ironically percipient narrators; ‘an amiable displacement’ is perfect). And the cafeterias with chopped liver, tuna fish and egg salad brought in at dawn from some sinister kitchen? Yes, the tenacity of disreputable avenues; and yet all is possible and the necessary conditions may arrive and bottles and pencils, hats and condoms will go to their grave. And there I’d better stop. ‘Dangerous salvations’: Elizabeth Hardwick, ‘Sleepless Nights’ considered. This will have to be a hastily written post – I have a plane to catch. 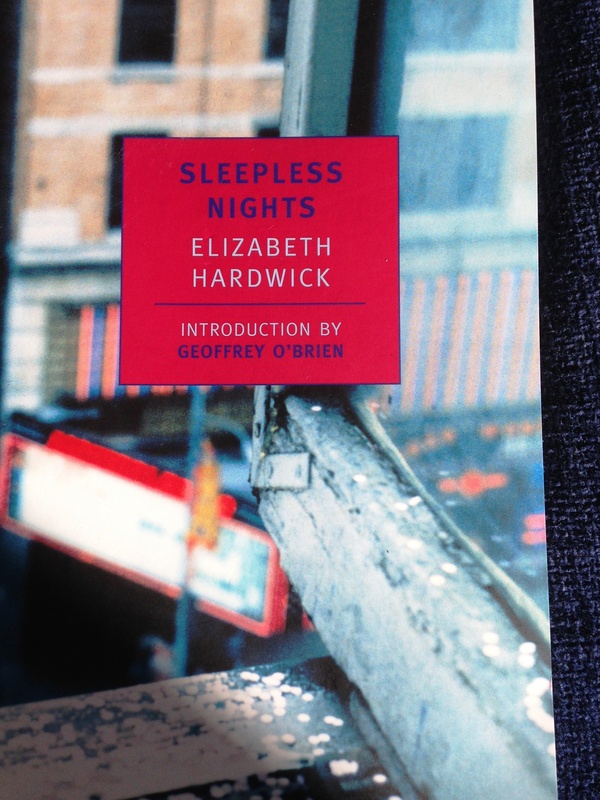 I just finished reading Elizabeth Hardwick’s 1979 novel, Sleepless Nights, reissued in their usual handsome designs by NYRB classics in 2001, and still in print. I like to remember the patience of old spinsters, some that looked like sea captains with their clear blue eyes, hair of soft, snowy whiteness, dazzling cheerfulness. Solitary music teachers, themselves bred on toil, leading the young by way of pain and discipline to their own honorable impasse, teaching in that way the scales of disappointment. The rhythms, imagery and sounds of that paragraph are delightful. But I feel a bit like Caliban on his island, hearing these enchanting noises, but unsure if they signify anything, whether they just disarm and waylay. How pleasant the rooms were, how comforting the distresses of New Yorkers, their insomnias filled with words, their patient exegesis of surprising terrors. A woman’s city, New York. The bag ladies sit in their rags, hugging their load of rubbish so closely it forms a part of their own bodies. Head, wrapped in an old piece of flannel, peers out from the rubbish of a spotted melon. Pitiful, swollen sores drip red next to the bag of tomatoes. Even here the opening minor sentence (Hardwick is perhaps excessively fond of these) resonates strangely (tough irony) with what follows. And there’s that strange definite article: why ‘the’ bag of tomatoes? It makes for a disconcerting precision in the portrait. As with Renata Adler’s Speedboat, which I posted about here a while ago, this is a fragmentary, plotless novel. More coherent than Speedboat, Sleepless Nights is nevertheless a collage of loosely connected or disconnected vignettes. There are sections that build contiguously for a page or two, and we follow a character through those pages, but they then usually disappear, never to return. There’s a touching section about Billy Holliday. There’s no linear, chronological sequence, and occasionally there’s an interpolated date, as in a diary entry (but cryptic, usually just a year: ‘1950’), but again with no apparent sequence. There are pieces set out as letters, addressed to characters whose identity remains a mystery. 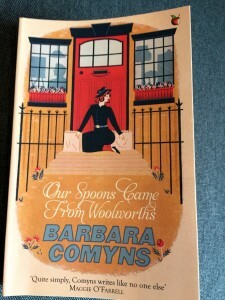 The narrator is a woman who shares the author’s name, looking back at her life: the ‘parade of people, the shifting background of place’ as the dustjacket blurb has it. She writes apparently autobiographically about friends and family in New York City, childhood in Kentucky and subsequent visits there, and many other places Hardwick lived in real life, including Canada, Boston, Maine and a year spent in Amsterdam. 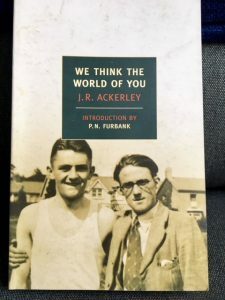 We know that Hardwick (1916-2007) had a tempestuous married life between 1949 and 1972 with her serially unfaithful husband Robert Lowell, but whether he is the ‘Michael’, or other men identified in the narrative only by their initials, is unclear. She does touch intermittently on the themes of marriage, solitude and separation. 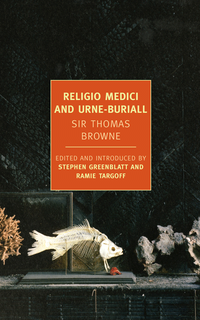 As Geoffrey O’Brien says in his Introduction to this edition, however, Hardwick said in an interview at the time of this book’s first publication that much of it is ‘made up’. I probably need to read this again to do it more justice. In parts this novel is wonderful, but I frequently found myself having to re-read pages, and still the words failed to abide. Now I feel in need of a novel with a plot, connected characters and less self-consciously poetic style. I’m taking Wyndham Lewis’s Tarr on my trip up-country (have to fly: trains to England cut off by storm damage to the rail tracks) – not sure this is a sensible follow-up. 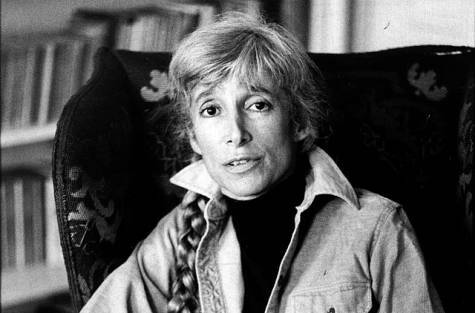 Speedboat, Renata Adler’s first novel, was originally published in 1976; along with her second from 1983, Pitch Dark, it has been reissued this year by NYRB Classics. I found it a stimulating and bravely ambitious but not consistently successful entity. This is partly because of the structure: there’s no linear plot, just a fragmented collection of vignettes and eclectic, reported snatches of conversation. As the reader tries to make sense of the apparently random fragments a unifying consciousness almost comes into focus and just about holds the novel together and prevents frustration from setting in: Jen Fain is a hard-drinking, dysfunctional journalist and teacher (she’s ‘never been any good at interviews’, she confesses). She thinks somebody ate her gerbil. No one eats gerbils. It is strange to think that most of the children under six whom one knows and loves, gives presents to, whatever, are not going to remember most emotional events of those first years, on the couch, or in jail, or in a bank, wherever they may find themselves when they are twenty-five. The whole magic of plot requires that somebody be impeded from getting something over with. Yet there one is, with an emotional body English almost, wishing that pole-vaulter over his bar, wanting something to happen or not to happen, wishing somebody well. I began to find I was not wishing Jen well, while admiring the skill with which the fragments were assembled. Jen’s an observer, piling them up and recording them, but the pieces drift off into the unexpected and surreal, then fade out with a gnomic generalisation that’s funny or provocative, but frequently insubstantial (as with the gerbil story) . I am a fanatic myself, although not a woman of temperament. I get nervous at scenes. I stole a washcloth once from a motel in Angkor Wat. The bellboy was incensed. I had to give it back. So I was in despair because six fat women of Venice I would never see again thought I was pregnant by a man who did not want to marry me. This then is the central, noble theme: Jen trying to sort out what her life might mean, what she might want from it all in a world that’s largely absurd, hostile or indifferent. I go to parties almost whenever I am asked. I think a high tone of moral indignation, used too often, is an ugly thing. I get up at eight. Quite often now I have a drink before eleven. In some ways, I have overshot my mark in life in spades. I used to live with a graduate student of political science, a kind of Calvinist in reverse; that is, he was uncompromisingly bohemian. His mother was a dancer. His father was a judge. Our mattress was on the floor. Being neurotic seemed to be a kind of wild card, an all-purpose explanation. Other ways, of course, are straighter. I don’t know. Near the novel’s end she reflects: ‘It is possible that we are really a group of invalids, hypochondriacs, and misfits. I don’t know.’ Jen says ‘I don’t know’ or ‘whatever’ quite often. Our ambitions were, nonetheless, what those of any sensible group of women at that time, perhaps at any modern time, ought to have been: to become safe and successful; to marry someone safe and successful; to have for our children some sort of worldly safety and success. From time to time, however, there is something, I don’t know, wistful, about how it has turned out. They thought of selling their boat again and returning to Geneva. The jet, the telephone, the boat, the train, the television. Dislocations. This list of apparently unconnected objects, concluding with the abstraction of ‘dislocations’ embodies what Adler is maybe trying to achieve in Speedboat through Jen’s pondering the way things pile up, people, events. The lack of verbs in so many such sentences, the lack of agency in others, the adjective-free descriptions, point up the fragile dislocations of Jen’s cluttered, urban life. Although the narrative is largely engaging, then, and I admire Adler’s brilliant attempt to render an intelligent person’s struggle to make sense of things, it’s not always possible to find this novel completely satisfactory. The accumulated details and pronouncements can seem inconsequential or contrived. ‘The radical intelligence in the moderate position is the only place where the centre holds. Or so it seems’, Jen muses, alluding to Yeats presumably; what’s presented as an aphoristic, poetic truth is surely just muddled thinking presented as if debatable (that apparently uncertain final tag), but it’s dogmatically asserted. It is possible that I know who killed our landlord. So many things point in one direction. But too strong a case, I find, is often lost. It incurs doubts, suspicions. Perhaps I do not know. Perhaps it doesn’t matter. I think it does, though. When I wonder what it is that we are doing – in this brownstone, on this block, with this paper – the truth is probably that we are fighting for our lives. 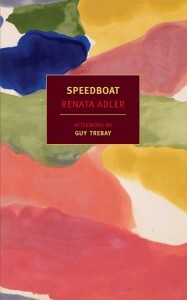 I felt, by the end of Speedboat, that perhaps this novel itself, witty and daring, dazzling in parts, really ‘doesn’t matter’; like the image Adler uses when Jen is thinking about stories and plots, it’s like a ‘game of solitaire or canasta’, the narrative is shuffled and dealt, but doesn’t ultimately ‘come out’. But it’s much to Adler’s credit that she puts up such a spirited fight in playing this game of Jen’s life. Photos as they appeared in the Open Letters Monthly review.